The Rappula farm that Petrax studio is located at has been in active agricultural use since 1577. The name Rappula was somehow translated from the original Swedish Nyland during a time when doing this sort of thing was all the rage. In any case, the end result is the Rappula farm, located on Rappulantie in Hollola. There is a beautiful stone church a few minutes drive from the farm. Checking it out is highly recommended. As for the studio... It was started modestly enough in 1993 as a place to make demos. But once you get started with something, it's easy to keep plugging at it. 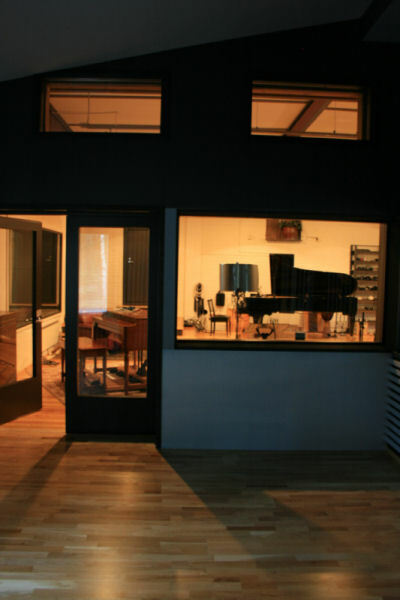 So, in 1995 came the first acoustically sound control room and the big warehouse space was converted into a recording room. Recording gear consisted of three ADATs and a Soundscape harddisk recorder. The first actual recordings that would see the light of day as releases were made around this time. In 1998, the whole palce underwent major renovation. The new 60 m² control room was built as a separate part of the main building and the recording rooms were acoustically improved. Living space for 10 people was built, as well as the sauna, lounge, showers and kitchen. A total of 520 m² was built. The recordign gear was upgraded to D&R Merlin desk and a Pro Tools mix3. In 2002, the Merlin was replaced with an Amek Galileo and the Pro Tools system will be upgraded in very near future.